What is The Best Wireless Charging Pad? In today’s changing world, wireless power is more important than ever before. With millions of smartphone and tablet users worldwide, individuals are constantly seeking solutions to the inherent problems of using wireless devices. In the past decade, however, a number of companies have begun to address these issues. One of the biggest problems faced by mobile users is a lack of battery power in their devices. Though wired charging is fairly simple to execute, it can be a pain to find an electrical outlet while on-the-go. It can be equally annoying to carry around tangled balls of charging cords for users’ many wireless devices. A wireless charging pad offers users one of the best solutions to these high-tech problems. Cordless charging pads free users from electrical outlets and jumbled power cords, making charging wireless devices simple and, finally, truly cord-free. Which Wireless Charging Pad is the Best? Today, more and more companies are entering the world of wireless charging. Some of these wireless chargers, however, are compatible with only certain wireless devices, such as iPhones and iPads. Others are costly, and some fail to fully charge devices. Overall, Powermat Technologies appears to offer the best wireless charging pad on the market. The company, founded by Ran Poliakine in 2006, has been offering users wireless solutions for over five years. Duracell’s Powermats are all affordable and powerful, offering excellent charging capabilities for as little as $40 or $50. The company offers wireless PowerMats that can charge up to three devices at a time. The brand has additionally built powerful connections with companies such as General Motors, AT&T, and Starbucks, and plans to offer more public wireless charging locations in gas stations, cafés, and restaurants in the near future. Clearly, Powermat Technologies has established itself as a leader in the wireless charging industry. Powermat simply offers the best wireless charging pad devices on the market. PowerMat just might be the charging solution of the future. Why Should I Opt for a Wireless Charging Pad? If you find yourself often charging your smartphone or tablet, a wireless charging mat just might be for you. Small, cordless, and stylishly designed, charging pads like the Powermat are perfect for those who use their mobile devices primarily at home or at work. Wireless charging pads will make your home or office space tidier and more organized than ever before. If you find that your mobile device often dies while you’re on-the-go, you may find other wireless charging solutions to be a better fit for you. Powermat also offers PowerCases for users who want their charging solution to be slim and extremely portable. 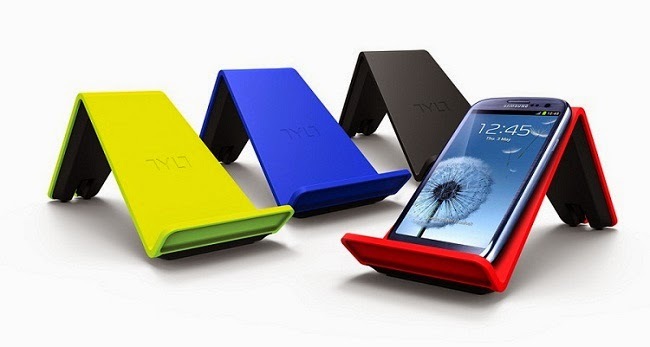 These types of charging cases, however, are generally far more expensive than charging mats, often costing double or triple the price. For mobile users who are looking for an extra-long battery boost, PowerPacks are another excellent portable charging solution. These larger charging devices generally plug into a phone or tablet and can provide dozens of hours of additional battery life. Simply put, there is a portable charging solution out there for every mobile user. Wireless charging pads are one of the best, most affordable charging options available today. What are PMA and Qi? PMA, the Power Matters Alliance, and Qi, controlled by the Wireless Power Consortium, are the two major wireless charging power standards dominating the market today. PMA is generally the charging protocol used by Powermat devices, whereas Qi is used by a number of competing brands. A handful of devices today come equipped with PMA technologies, allowing them to be wireless charged with ease. Other phone users may have to purchase a Powermat PMA-3 USB Ring to connect to wireless charging devices and hotspots. These Powermat rings can be connected to most phones via USB. A number of phones offered by Nokia, Samsung, HTC, Motorola, Google, and LG are Qi-enabled and allow for wireless charging via the Qi power standard. What Does the Future of Wireless Charging Look Like? It is likely that these modern charging technologies will become a part of our lives over the coming decade. Brands like Powermat are working to bring wireless chargers to common gathering places such as coffee shops and public transit locations. By acquiring a wireless charging pad, you will be stepping into the future of mobile device charging. Consider turning in your cords and switching to a wireless charging pad today.